Best Blogging Apps for Android Mobile Phone. Is Linux Better than Windows? | Linux VS Windows. Friends, today I’m telling you Is Linux operating system better than Windows? If there is, why and if not, then why not. We will analyze it today. Friends there will be a lot of people who use the Windows operating system, and some people will be using Linux or any distribution of it. So we will just compare them today. So let me tell you first, first I will tell about Linux’s features and user interface, then Windows. Linux Is Based On Unix. Unix Was Founded In 1969. Unix was an open source Operating system. So that Linux also is Open Source. Open source means Free For everyone. Due to being a Linux free code, due to being an open source, it has lots of distributions, and it is also free. Let me tell you the names of some distributions, Kali Linux, Ubuntu, Parrot Security OS, Cyborg, Arch Linux, Red Hat. 75% of the software installation process in Linux is done by commands. Due to being open source, it does not have to own any person, hence developers develop their own distribution and earn money by donating after that. Linux’s user interface can also be used with graphic user interfaces and also without the graphic user interface. Graphics User Interface means you will be able to see the graphics in the operating system. Like images and videos, All the work done in the without graphic user interface is done by Commands. Linux users use most advanced users and this can be a bit difficult for normal users. Linux’s use of advanced users in penetrating testing. To monitor cybersecurity. Most of the intelligence experts monitor cybersecurity by making their own distribution on Linux based. Most of Windows software has also been built for Linux. Meaning you will also find Linux versions of the software that supports Windows. Traditional Computer VS Cloud Computer. How Data Travels From Computer To Data Centers. 10 Ways To Create a successful Website. Now We seek to Next topic is windows. Actually, windows have lots of features and also having the security of operations and support lots of functions. Also, various software and hardware compatibility rose the era of windows to the higher level. Windows is actually easy to use and it’s having less complex than Linux. linux programming is difficult while windows are split into different standards version according to nature of use. Windows can be installed through CD, DVD, Pendrive, Bootable Drive but it is cant be run in live mode as Linux can run. Now the Great library is available for Windows which showcase different types software that person needs for daily works. while Linux just has the library of popular software. Windows have greater flexibility of layout and design. also can add themes. Its have the latest update at regular interval of time and also have a great support team for the solution of the particular problem. Also, Lots of developers and software compatibility leads to higher interchangeability and better scope available. 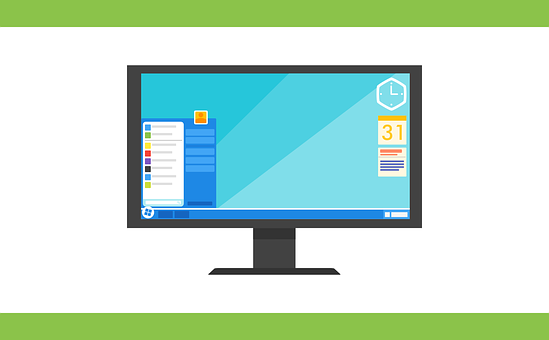 windows have a different type of version of Windows XP, Windows 7, Windows 8, Windows 10, also according to the user environment, it is furtherly divided into the Windows professional, Windows home edition, business Edition etc. Windows 10 Is the latest build which running the most updated version of windows with better performance and friendly user interface. As we see both the Linux and Windows os features, Both contains some kind of particular user requirements features. like Linux has complex structure but it contains better security than windows. it can be used for the privacy usage more safely than windows. while windows have been made for open source project which generally used by the public and also used in the business sector, but it cant give user functionality to run custom for the sole person. whilst Linux has compatibility to work as per users requirements and can be modified according to users needs. it can be get shaped according to needs of the user. So according to the mode of work a person can choose Linux or windows. So, guys, that’s it for today stay tuned for next posts. Keep sharing and do comments if you like the post. And don’t forget to follow us. What Is Byte? A Story Of Bits To Yottabytes. Amazing Facts! Origin Of Universe. Theory of creation or birth of universe. Amazing facts!